I usually avoid to review a new album (no matter the band) if I haven’t listened to all previous ones; knowing all the previous work, it really helps me to see if the band has evolved or not and to better place and rate the album in relation with past ones. And here comes the confession: out of the previous three albums issued by Swedish The Storyteller, namely The Storyteller (2000), Crossroad (2002) and Tales Of A Holy Quest (2003), I only listened to Crossroad. That hardly makes me an expert on this band, right? So, you ask, what on earth prompted me to take on this album? Well, one of the reasons was that I decided to take a (well deserved says I) break from the beloved female fronted goth/dark/progressive/ everything-else-you-can-think-about genres, but that’s just the small tip of the iceberg: all the rest goes to (of course) the music itself. Let’s get on to the important matters, the matters that really matter, okay? The few things that I remember about Crossroad was that it was an ok power metal album, with a few good tunes but all in all pretty standard and quite repetitive, pretty average performance from the band, good production; it still ended up in my collection, hardly listened to it since then (two yrs. back). So, I was browsing through my playlist for this month, trying to decide between Lacrimosa and Wastefall for my next review when something very interesting came out from the speakers: a power/heavy metal sound, tight and catchy, powerful riffing, everything you’d expect from a leader band of the power metal genre. After I carefully checked to see if there was a mistake somewhere or Falconer or Hammerfall were playing jokes on me, I had to give in, this was my next review. Style wise, the band plays Swedish power metal with heavy metal traces, comparison with fellow Swedes Hammerfall coming naturally, but their sound is somewhat closer to early Falconer, Nocturnal Rites or even Teutonic a la Running Wild with a modern touch. Less bombastic than Hammerfall, almost symphonicless, relying heavily on dual guitar attack with melodic harmonies, a good frontman backed excellent by choir (here and there almost Blind Guardian-like) a solid and gifted rhythm section that allows room for the guitars to battle, the album has a fresh feel, rough and powerful at times, sensible and poetic in other moments. One of the best surprises was the re-discovery of the lead vocalist L-G Persson. With a clean and powerful voice, he is the perfect voice for this type of sound, rich and emotional. Most of the times he reminds me of Rock’n’Rolf Kasparek of Running Wild fame with his sometimes harsh but clean approach to the instrumental melodies. You can really see that he (L-G Persson) has improved tremendously from a few years back. Right form the opener, The Changeling, with its mid tempo, catchy chorus a la Hammerfall, (setting up the atmosphere of the album) we are presented with the new and fresh style of the band. Fast tracks like Eyes Of The Dead, Watcher In The Deep, or the Gamma Ray-esque Magic Elements with the alert pace, excellent guitar harmonies, extended double guitar solos and perfect drumming, classic power metal tunes blend with slower tracks, more complex and more addictive. The medieval-folkish The Fiddler resembles a Blind Guardian Bards tune, with excellent violin leads, melancholic and majestic. The short acoustic ballad Your Time has come has excellent vocal leads well backed up by guitars. Beauty Is The Beast has a good build up to a catchy chorus, with good pounding rhythm while the title song, Underworld has a dark vibe with excellent guitar solos, and stemming rather than cutting the rhythm hooks, with inspired bridge in between the solos. Shine On is a less heavy, more like a melodic hard rock tune with excellent backing vocals again The Four Bards-like. Of course, Motörhead’s classic Ace Of Spades closing the album is, well…classic, with L-G Persson sounding mean and angry like Lemmy in his glory days. The double guitar attack provided by Fredrik Groth (also responsible for the excellent production) and Jacob Wennerqvist is top notch, each complementing the other, changing leads and hooks. All in all, this is a very good power metal album. 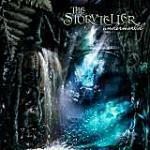 True, it doesn’t come with an all original new sound (actually I very much doubt that in the genre this is still possible) but fans of Blind Guardian, Hammerfall or just plain good European based power metal will be delighted with The Storyteller latest offering.